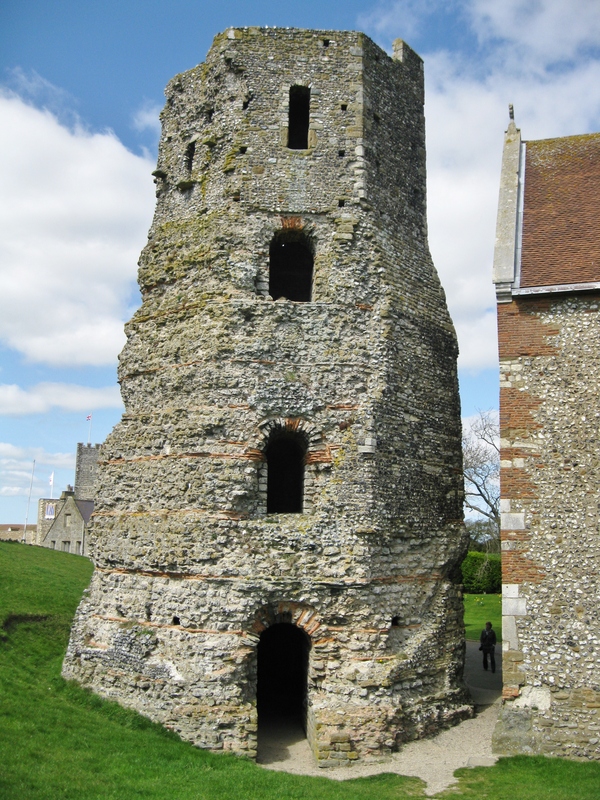 Located on the grounds of Dover Castle in Kent, England, is a well preserved Roman lighthouse constructed from the orange-red tiles found throughout the Roman world, and from local flint and other stones. The original structure seems to have been erected about 50 AD with major reconstruction around130 AD, and was perfectly situated atop the high chalk cliffs of this area to help guide maritime traffic moving through the Channel between the ports of southeast Britain and what is now France, Belgium and the Netherlands. It was originally one of a pair, the other lighthouse having been situated on the cliffs about one thousand meters to the southwest. That structure did not survive the centuries and its foundation is now buried beneath 18th Century fortifications. The lighthouse’s function is known with certainty due to its very close resemblance to other surviving lighthouses in Egypt and Spain and excavated examples in Italy, as well ancient depictions of the famous Pharos lighthouse at Alexandria, Egypt. In its original form it would have been square inside and octagonal outside, with four levels. It stands about 75 feet tall today, with the top 19 feet being Medieval reconstruction. It owes its survival mainly to having been used as a church tower in the Middle Ages and a variety of other uses over the centuries. Adjacent to it is the church of St Mary in Castro, the original fabric of which was partly constructed of material recycled from the lighthouse and other nearby Roman remains by the Saxons around 600 AD. 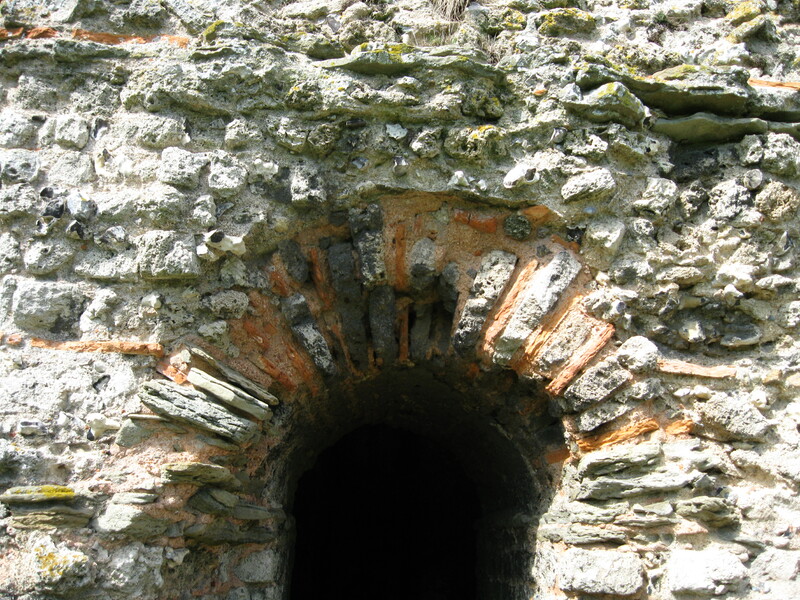 Roman tile and worked flint are clearly visible throughout the structure. The Saxon church is a significant monument in itself, though it has seen much rebuilding. It is still in use today. Trains from London to Dover take between one and two hours, depending on time of day. 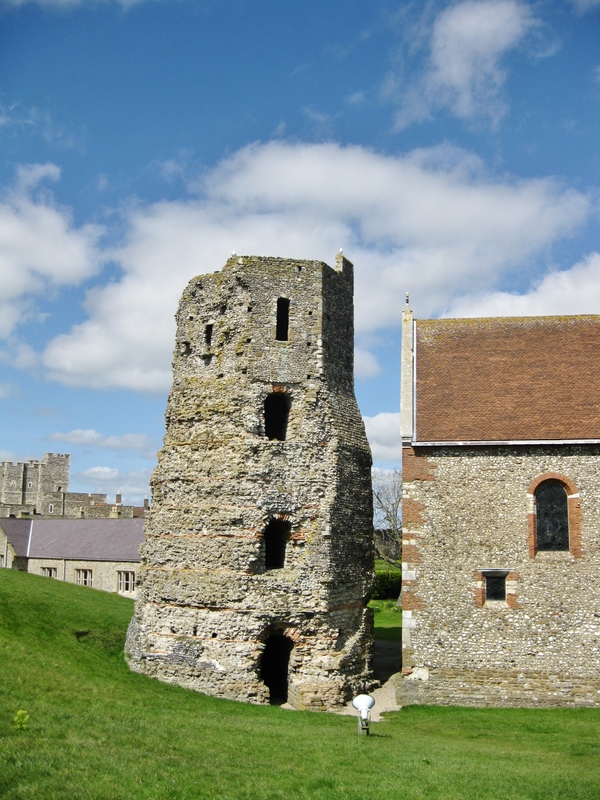 The lighthouse can be accessed today with an admission ticket to Dover Castle. The site is managed by English Heritage. Dover Museum offers excellent exhibits covering the Roman and Saxon periods and these strongly complement a visit to the lighthouse and church. Views from this location are spectacular, with the French coast visible on a clear day, the harbor of Dover directly below and the expanse of the Channel and the Dover cliffs stretching off for miles. Dover Roman Lighthouse. To the right is the Saxon period Church of St Mary in Castro. Note the use of Roman building material in the church’s fabric. In the distance at left is Dover Castle. 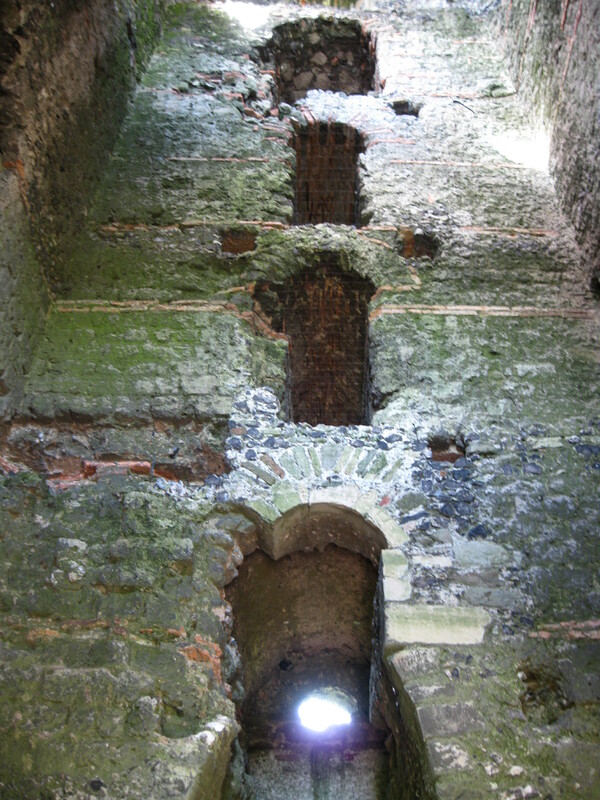 A close up view of Dover Roman lighthouse. The figure standing at bottom right between the lighthouse and church offers a sense of scale. Note the layers of Roman tile alternating with worked flint and stone. View from inside the lighthouse, showing clearly the square interior plan and four levels. Exterior detail, showing the use of Roman tile in the window arches. Many thanks for this superb post and sharing your wonderful photo’s. Yes, the primary reference for this information is “The Roman Pharos at Dover Castle” by Kevin Booth, which was published in the English Heritage Historical Review, Volume 2, Number 1. Booth examines both the late 18th Century and early 20th Century published studies of the lighthouse to determine both the original shape and size of the lighthouse, including the medieval restoration. I believe English Heritage Historical Review can be accessed online, although there may be a fee for this service or to download.